Every college and university in this country will accept either the SAT or ACT. It makes no difference whether you submit one or the other or both. 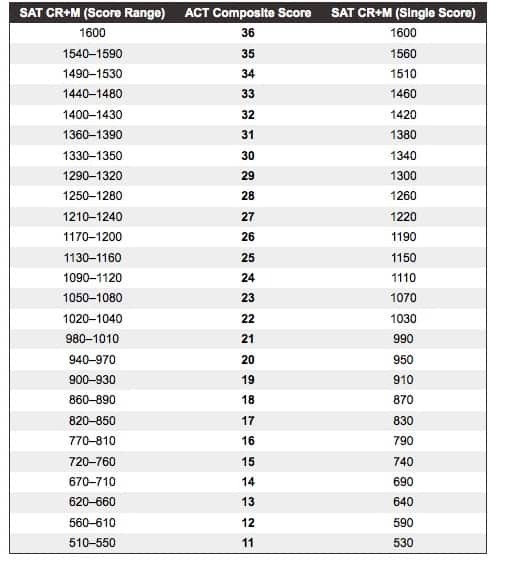 With the 2010-2011 testing season winding to a close this month, I wanted to share the chart below that should help you to decide which scores to submit to colleges. My son only took the SAT so he wasn’t faced with this issue, but my daughter Caitlin took both the ACT and SAT and she submitted both sets of scores. Turns out her SAT scores were clearly the best and I could have saved myself some money if we had only turned in those scores. With the following chart, there is no need for you to make the same mistake.